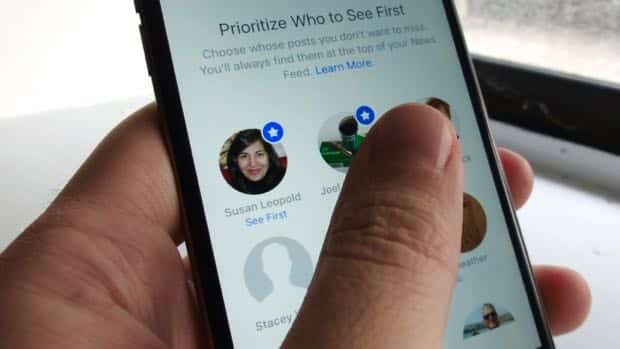 Facebook works in mysterious ways when it comes to deciding which posts show up first on your Facebook news feed, but there’s an easy way to nudge your friends and loved ones to the top of the list. Here’s what you do: Go to your Facebook news feed in your desktop browser, hover your mouse over a friend’s name, then hover over the Following button and select the “See First” option. 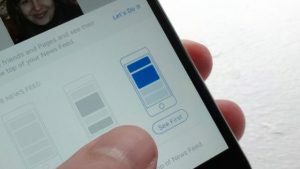 You can add a “See First” tag to a friend on the web version of Facebook, or from the Facebook apps for iOS and Android. Once that’s done, posts from the Facebook friend you just flagged will always appear at the top of your Facebook news feed, regardless of what Facebook’s secret “Top Stories” algorithm says. You can also click the Settings button (the one that looks like a down-arrow) in the top-right corner of the page, select News Feed Preferences, then click Prioritize Who to See First. That’ll take you to a list of all the Facebook friends and pages you follow; just click a friend or a page to give them a “See First” flag. To perform the “See First” trick on the Facebook app for iOS or Android, tap the name of a friend in your news feed (which takes you to their profile page), tap the Following button, then tap See First. To choose See First buddies from a big list of Facebook friends on your iOS device, tap the “More” button in the bottom-right corner of the screen, then tap Settings, News Feed Preferences, Prioritize Who to See First. For Android, tap the More button (in the top-right corner of the screen, not the bottom-right), scroll down and tap News Feed Preferences (no need to tap Settings), and finally tap Prioritize Who to See First.